When Gertie Johnson started talking to me in my head, she was 77 years old. "But they want their heroines young," I was told. Over and over. As a newbie writer, I caved to peer pressure and made her 66 (not exactly what my advisers meant). At first I thought 'they' equaled readers. But as it turned out it was the publishers who didn't want older protagonists. That's still true. My publisher turned down my last proposal for a group of 'mature' women for that very reason. 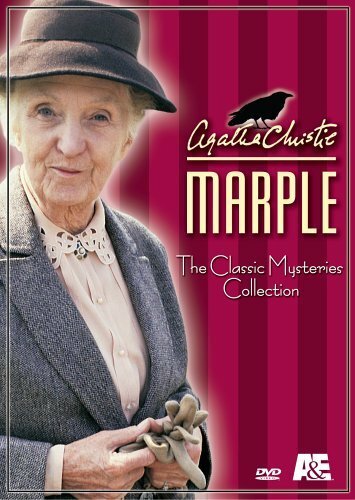 Have they completely forgotten about the famous Miss Marple? I love, love, love writing and reading about older folks. They don't have all those issues young people have. They aren't afraid to take risks, don't care what others think, and have accepted themselves exactly as they are. Peer pressure doesn't scare them one bit. So, without further ado, I bring you five contemporary older sleuths. 1. Ninety-two year old Victoria Trumbell (by Cynthia Riggs). She live on Martha's Vineyard and has quite a reputation for her investigation skills. Anymore to add to the list?? Sister & Mouse in Anne George's Southern Sister's Mysteries. How about "the Mrs Pollifax series"
love those books and that cute little old lady! Another Anne George fan. Sister and Mouse were such fun. BIG! Agatha Raisin fan here. Oh, I miss Mrs Pollifax, too!! Betty Hechtman has the Crochet Mystery series. I believe Molly Pink, the main character, is a woman of a certain age. It's a fun series. Also a huge Ann George fan. I also love Mary Saum's Thistle & Twigg characters. Too bad there were only 2 books in the series. I also love Agatha Raisin and Agatha Christy. In fact it does not matter the age it is the character that makes the story. I read with young and old but I do love women sleuths. Your publishers are wrong about the age issue, as I'm sure you know. I have read Agatha Raisin from the beginning and Gertie, too. Love them both and also Miss Marple. Being 67 myself, I gravitate toward older characters. I also like YA books and books about 20 somethings, 30 somethings, etc. It's the story that counts and interesting characters. Mostly the characters, in my opinion. I'm hoping Gertie goes on for many years. I love older characters in books. I have read Murder in Miniature, that has a grandmother starring in it. And how about Laura Childs? Her books have 40-ish lady sleuths. I love her worlds, and her characters. I want to have tea in her teashop in Charleston, go to New Orleans to visit Camilla or eat eggs for breakfast with the three ladies of the Cackleberry Club.